And, of course, Richard Caldicot played Commander/Captain Povey in The Navy Lark. For clarity, Coningham was not one of my three RAF majors at Amiens. We have Park and Leigh-Mallory but there is still one to go. But shouldn't your list be of four Majors, Coningham included ? Was Raymond Collinshaw in the area at the time? Yes, it is Sholto Douglas. 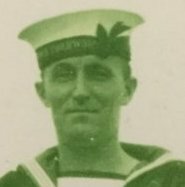 I didn't include Coningham because, as far as I can tell, his squadron did not take part in supporting the attack on Amiens - it was at Serny in the Pas-de-Calais at the time. Just out of curiosity,were Portal and 16 Squadron anywhere close? Amiens 1918 is a 92 Sqn battle honour, and Mary (OC 92) was wounded on 11 August. According to the source I consulted (The War in the Air, Appendices volume) 16 Squadron was at Camblain l'Abbe, in I Brigade RAF, in First Army, but it was commanded by Major A W C V Parr. There is no mention of a squadron under Portal's command. "Portal was promoted to temporary major in June 1917 and given command of No. 16 Squadron flying RE8 aircraft on the Western Front at the same time. 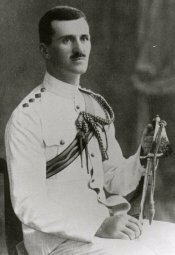 He was promoted to temporary lieutenant colonel on 17 June 1918 and given command of No. 24 (Training) Wing at RAF Grantham in August 1918." "On 14 June 1917 Portal was promoted temporary major and given command of 16 squadron (reconnaissance and artillery observation)"
From the Army's point of view, the Battle of Amiens lasted from 8 to 11 August. I assume that the same criterion applied to the RAF, in which case the presence of 92 Squadron on 11 August would qualify them. I have looked at the Official History, France & Belgium 1918 Volume 4 and The War in the Air Volume 6, as well as the monograph on the battle written by Lt-Col A Kearsey of the General Staff. None of them throw any light on where 92 Squadron was between 8 and 11 August, and The War in the Air does not even have index references for the squadron or for Coningham. AIR 1/1187/204/5/2595 R.A.F. War Diary: Bound Volumes. 1918 June - 1919 Apr. As of now, the issue of whether "Mary" and his squadron "took part in supporting the attack on 8 August" is still unresolved. I am open to persuasion if reliable evidence can be produced. I am not trying to persuade you. This chap not been on WIT but has been mentioned on the Forum,he is of Irish/French stock, a prominent officer for the establishing a French contingent, he went onto high political office as well as having 34 schools named after him. I have no idea who he is. Have you posted the picture reversed to confuse us further? 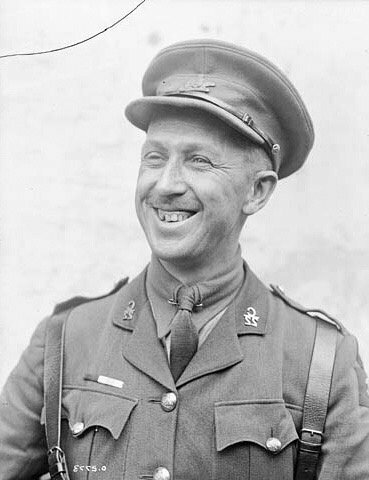 No fooling you guys, reversed the image, yes that’s the chap Georges-Philéas Vanier, became Governor General of Canada between 1957-1967, instrumental in establishing the French/Canadian 22nd Battalion, the full details of his life and career found here https://en.m.wikipedia.org/wiki/Georges_Vanier, plenty more on the tinterweb. Another one who I can’t find on WIT. This is William Henry Johnson VC. Strictly speaking his VC was won before he joined the Tunnelling fraternity, at Missy on the Aisne in September 1914. Shouldn't that be "redro fo tuo gnab"? taoc ym teg ll'I yako! That’s him Pete, threw the tunnelling reference in to hope to confuse, he was a RE with both the 177th & 172nd Tunnelling Company after his award. It's lovely out here on the coast too. T-shirt weather, and by coincidence my t-shirt says 'ANGB -it's bang out of order'. Quite remarkable. P.S. I'm hoping to get back to China Wall on my next visit to Ieper so I'l visit William Johnson, a good find John.